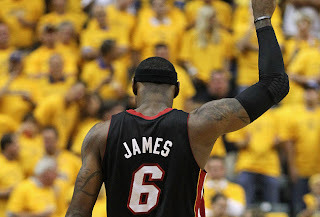 Last night while watching the Celtics v. Heat game, I was amazed at LeBron James' game. The guy is talented. He has my respect for his talent. That doesn't make me his fan. Jeff Van Gundy, one of the ESPN commentators, talked about how befuddled he is that LeBron has people that dislike him. Van Gundy shared that since LeBron apologized for the way he handled the Decision, and it wasn't fair how he is constantly vilified and scrutinized. I was shocked. I remember at the time, I thought I had to have heard this guy wrong. 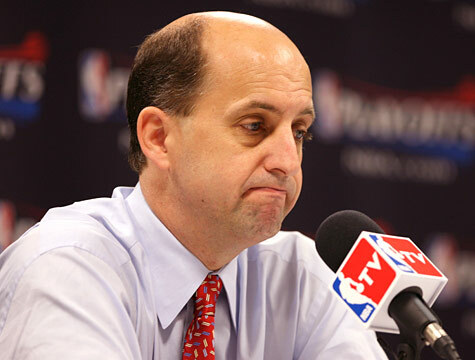 I replayed it, and to my amazement, Van Gundy still wondered why people disliked LeBron. Previously, I made my feelings clear in this post, but it seems that I need to clarify. Am I over that LeBron James left Cleveland? Does that mean I have to be a fan of James? That is is where the confusion comes in. People not from Cleveland put on their Judge Judy robes and admonish Clevelanders that burned their jerseys or proudly wear their Quitness shirts. That is a right that we have earned. It was our relationship with LeBron that ended. Not yours. LeBron was the one that wanted to leave Cleveland. He left in a manner that was disrespectful and immature to the city, his coworkers and the sport. He made a point to embarrass and ridicule Cleveland, a city that that adored him, for no other reason than he could. 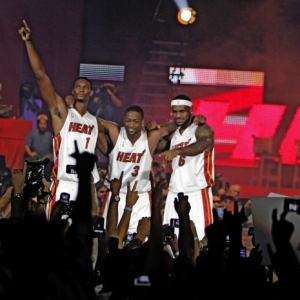 Maybe his ego told him he was so well loved that the city would follow him like a new puppy to South Beach. During his whole decision making debacle, the city of Akron in an effort to win him over, proclaimed LeBron James Day, which he showed up for after it had ended. 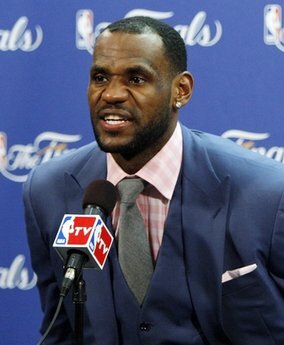 LeBron dragged teams to Cleveland to present to him why he should take his talents to their town. His ego is only rivaled by his skills on the court. So while the world waits for him to win his not 1, not 2, not 3 rings, why should I cheer him on? Why should I cheer on the man that *quit* in game 5 against the Celtics as a Cavs player? Maybe I should admire his miraculous healing ability? His oh so painful elbow injury that caused him to shoot left handed and stand in the corner that has never flared up again? Impressive. The microscope on the Miami Heat is of their own making. When you stand up and tell the world that you are the best and that you are going to be a championship team, you better be or expect the consequences. Making a spectacle out of yourself and your profession, will cause people to take notice and watch if you can follow through. I can't help that his promises are as fake as his hipster glasses. I put the Miami Heat in the same class as the Pittsburgh Steelers - rivals to a sports team and a city. I don't cheer when Ben Rothlisberger completes a pass, why would I be excited if LeBron makes a free throw? James may be skilled on the basketball court, but I am under no obligation to respect him as a person. In my eyes, LeBron James will always be an immature, narcissistic quitter. Why would I want to encourage that?